You can get a discount on your cable bill if you use your own CableCARD enabled device instead of using a set-top box or DVR from the cable company. Federal Communications Commission Rule 76.1205(b)(5) requires that your cable company must give you a discount on any package that includes the price of a set-top box if you choose to use your own CableCARD-enabled device. This is applicable to many packages offered today. With very few exceptions, the FCC mandates that your cable company must give you a CableCARD if you request one. If your package does not include a set-top box, the FCC rules still allow you to return the set-top box and eliminate the box rental fee. Since 2011, the CableCARD must support multiple streams, so you only need a single CableCARD to serve multiple devices throughout your home. The first step is to return your set-top box to the cable company and request a CableCARD. Next, you need to purchase a CableCARD-compatible DVR or a CableCARD tuner that can be connected to either a computer or directly to your router. I recommend purchasing a Hauppauge WinTV-DCR-2650 or a SiliconDust HDHomeRun Prime. SiliconDust previously released a Prime model with three tuners, and a six-tuner model is expected to be available sometime in 2019. There are many resources on the internet that provide instructions for the usage of the CableCARD device you get. You may need to call your cable company and politely remind them that the discount is required and cite the rule indicated above. The rule is publicly viewable by navigating to https://www.fcc.gov/wireless/bureau-divisions/technologies-systems-and-innovation-division/rules-regulations-title-47, and following the applicable link provided. It may be more difficult to get the discount described above if your service is part of a bulk account, such as when your home owner's association pays the bill for multiple homes, and you pay the HOA. No portion of the FCC rules that I have seen specifies that your cable company is exempt from providing the discount if your service is part of a bulk account, but check the individual HOA bulk agreement to see if the discount is eliminated. I have been able to get the discount from Comcast in previous years on a monthly basis by having them apply the credit to my Comcast internet service bill. My internet service bill is paid directly to Comcast and not through my HOA. I was also able to get the discount from Comcast this year (2018), but it had to be provided as a single twelve-month credit to my Comcast internet service bill. I had to call Comcast earlier this year and request to speak with a representative that is authorized to provide a one-time credit. The Comcast representative agreed to continue providing the credit, but she said I would have to call back in 2019 and request another twelve-month credit. In addition to using equipment that is owned instead of being provided by the cable company, many cord shavers stop paying the cable company for the premium channels such as HBO and Showtime that typically have an additional charge. Instead of trying to stream all content that is typically found on cable channels, streaming just some of the content can help prevent data overage charges. Many shows like HBO's Game of Thrones are available using various streaming services. DVD rentals can also help avoid data overage charges. It depends on the Comcast package and the TiVo or other device that you get. 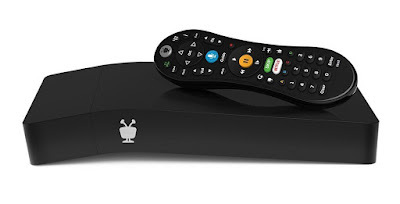 An example using Comcast's Digital Starter package versus other high end devices is located at https://htpc.tedsblog.org/2018/06/tivo-bolt-silicondust-prime-6-comcast.html. In that example, adding a DVR to the Digital Starter package will typically cost between $1886 to $2096 over seven years. Currently, the most expensive TiVo with the all-in service plan is about $1050. Other Tivos and devices are available that cost considerably less. How do you go about getting the discount from Comcast? What do you say to them? How much should the discount be? Take all of your cable boxes and DVRs provided by Comcast to your local Comcast Service Center (Xfinity Store), and request a CableCARD. You may want to call the center first and verify they have a CableCARD available, since they sometimes "accidentally" temporarily run out. You will need to purchase a CableCARD device such as a TiVo BOLT VOX 500 GB. The customer-owned equipment credit is a minimum of $2.50 per month. The amount saved by having a DVR or HTPC that your own varies, but Comcast charges $9.95 per month for adding a single DVR in some cases. You may also be able to eliminate the $10.00 per month HD Technology Fee. After seven years, these three items add up to approximately $1,886. The amount saved is considerably higher if you have additional TV's in multiple rooms with cable service. Good luck.